In this Thursday, May 3, 2018 photo, beekeeper Constantine Chlepas sits on a section of downed trees on the route of the proposed Mountain Valley Pipeline near his property in Lindside, W.Va.
George Jones was against the Mountain Valley Pipeline from the start. The natural gas pipeline is routed to run through the southwest Virginia farm his family has owned for seven generations. The 88-year-old Navy veteran never considered signing an easement agreement with the developers, because he thought the whole thing seemed an affront to his property rights. But state law meant he couldn’t even keep surveyors out. 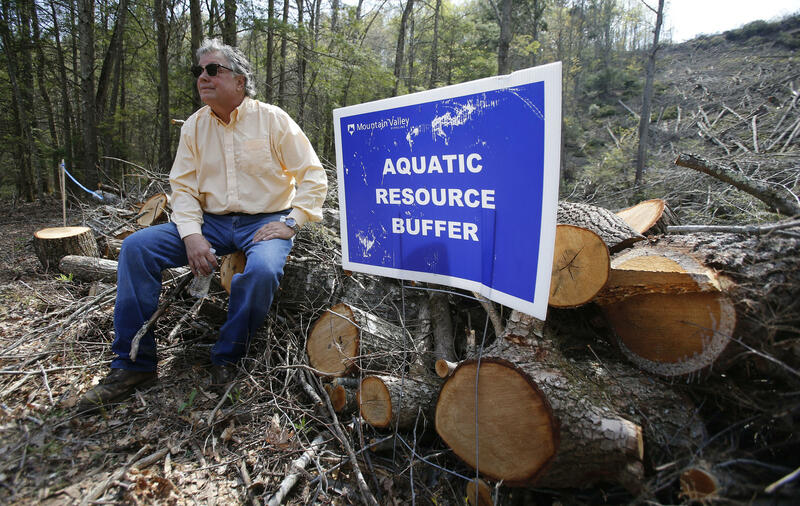 As work chugs along toward having the pipeline in service by the end of the year, Jones and a coalition of more than a dozen other like-minded Virginia and West Virginia landowners have taken their fight to court. They sued project developers and the federal regulators who approved the pipeline, arguing that taking their property through eminent domain is an unconstitutional land grab. They say regulators have “run wild,” granting developers of the approximately 300-mile-long (480-kilometer-long) project land acquisition powers, which are usually reserved for government entities. “He fought in the Korean War for other countries’ freedom, and then he comes back home ... and he’s fighting for his own freedom, for his own land,” said son Donald Jones, who has power of attorney after his father suffered a stroke that limited his speech. A hearing Thursday before the 4th U.S. Circuit Court of Appeals in Richmond comes as other legal challenges against the project proliferate and protests escalate, with some opponents camped out in trees along the pipeline’s path in an attempt to prevent construction work. Mountain Valley, part of a pipeline boom underway to carry natural gas out of the Appalachian Basin, would run south through the center of West Virginia. It would cross steep mountains, old-growth forests, hundreds of bodies of water and the Appalachian Trail before connecting in southern Virginia to the more than 10,000-mile Transco pipeline system. A 70-mile extension into North Carolina was recently proposed. Developers say the buried pipeline, 3½ feet in diameter, is intended to serve markets in the Southeast and Mid-Atlantic. They insist it will boost local economies through new jobs and tax revenue and aid the transition from dirtier-burning coal. Wade Massie, an attorney representing the pipeline in the lawsuit, declined to discuss the case and referred questions to a spokeswoman who works for lead developer EQT Corp. She didn’t respond to requests for comment. The landowners, however, insist the pipeline won’t do a thing to help them, their families or their neighbors. Many believe the gas is destined for export overseas. 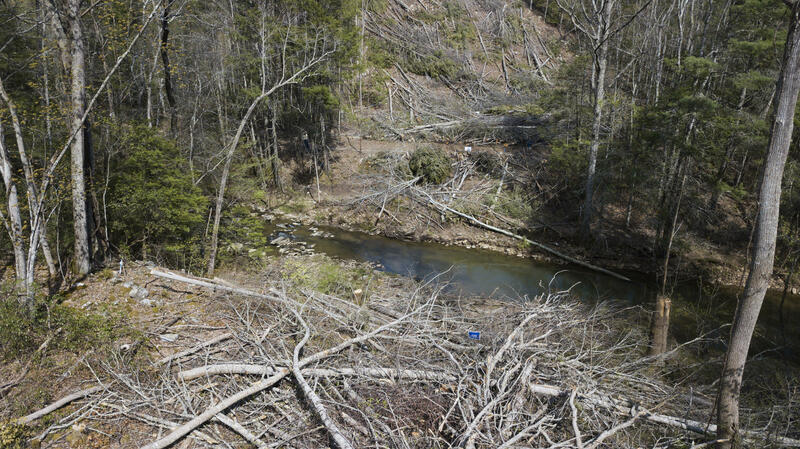 In this Thursday, May 3, 2018 photo, downed trees mark the route of the proposed Mountain Valley pipeline in Lindside, W.Va. In signing off on the pipeline, the Federal Energy Regulatory Commission noted that the pipeline’s capacity — 2 billion cubic feet (0.06 billion cubic meters) a day — been claimed by companies that want to ship the gas. But critics say that because the shippers are affiliates of the companies developing the pipeline, that doesn’t show a true market need. “Basically, the corporations have taken power to do whatever they want over individual rights. We have to say, where does this end?” said Constantine Chlepas, another plaintiff who worries his organic apiary will be harmed. The landowners seeking relief hope the appeals court will reverse the decision of a lower court judge, who didn’t rule on the constitutional issues in the case but dismissed them, saying she lacked subject matter jurisdiction. U.S. District Judge Elizabeth Dillon said the landowners must first apply for a rehearing before the commission and, after receiving a hearing there, seek review in a federal appeals court. Some of the plaintiffs and other pipeline opponents have done just that — asked the commission to reconsider its decision — but they say the way that process plays out leaves them with no meaningful opportunity for judicial review. 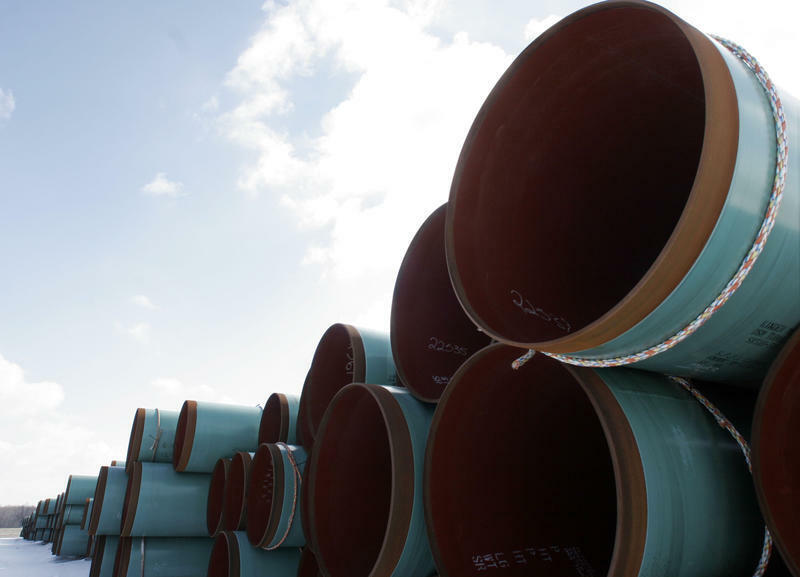 The commission has issued what’s called a “tolling order,” a decision that allows members more time to consider appeals but also allows work on the pipeline to continue. FERC spokeswoman Tamara Young-Allen said the agency doesn’t comment on pending litigation. Justin Lugar, an attorney for the landowners, said his clients face a high hurdle in the lawsuit and the clock is ticking. “Even if we win the jurisdiction argument, the pipe could be in the ground by the time this thing could be heard,” he said. Crabtree, though, said she’s holding out hope. She pointed to the numerous legal challenges and the growing number of tree sitters who have blocked work on the project, saying she feels public sentiment against the pipeline is growing. “The fire is spreading,” she said. 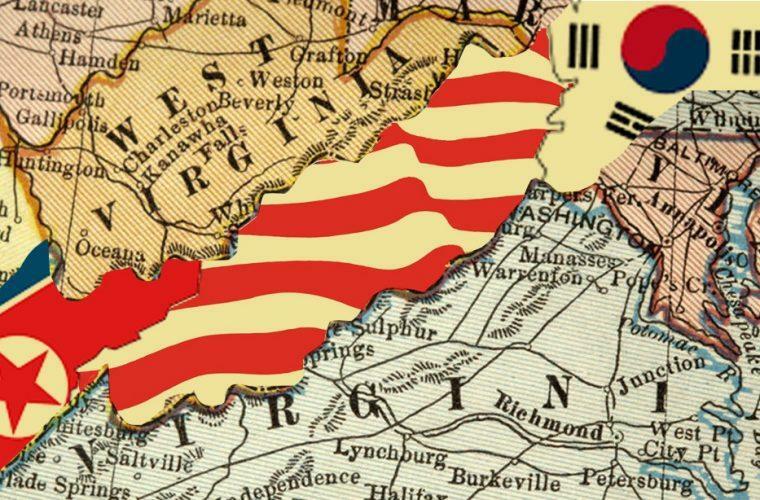 Having grown up in West Virginia and after living for three years in South Korea, the ongoing thaw in relations between North and South Korea got me thinking about the many similarities between the Koreas and the Virginias. That’s not as far-fetched as it sounds. Start with something simple — the topography. My wife and I arrived in Seoul in fall of 2010 and, despite the fact that I had never been to Asia and could not read one street sign in Korean, there was something about the place that made me feel at home. 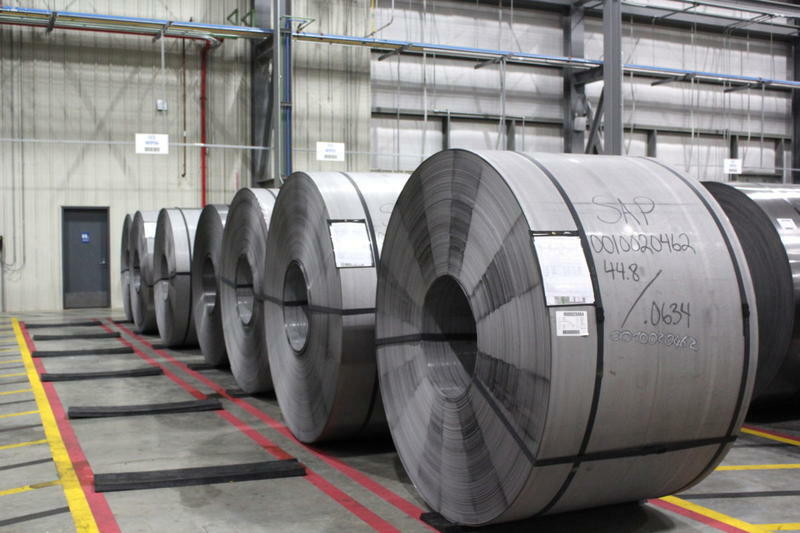 Regional iron and steel industry leaders say they are disappointed by the Trump administration’s delay on a decision about which countries will face new import tariffs. President Trump has postponed until June a decision on which countries will be subject to new tariffs on steel and aluminum imports. The decision had been due May 1.